New Zealand’s GA agricultural industry has lost another respected pilot. We express our sincere condolences to Geoff Kitto’s wife Andrina and their son Tom. With Geoff’s passing, we have also lost a great mentor of young agricultural pilots. In the last decade, Geoff’s focus was on training – to the extent that, over the years, he trained 37 agricultural pilots. He was very good at passing on his expertise and enjoyed the association with this next generation of agricultural aviators. Geoff began his flying career as a 20-year-old in 1967 when he attended Beryck Dalcom’s Ag pilot school. After completing his training, he went topdressing in Hawke’s Bay. Aerial spraying in Africa, 1968-1970, including Rhodesia, Mozambique and Malawi. Aerial baiting ops, Mt Cook Airlines, Queenstown, poisoning rabbits, winter 1970 (fixed wing). Aerial spraying/topdressing in Australia (fixed wing), 1970-71. Aerial spraying in Central America, 1971-1974 (fixed wing). Geoff returned to New Zealand in 1974 and retrained on helicopters – James Aviation and Farmers Aerial Otago and Southland, 1976. 1975-1986, carried out seasonal work in the UK (spraying ops) and power line construction in Scotland. Flight demonstration and training for Rockwell – Thrush Commander throughout Europe. Various long range ferry flights. Aerial spraying and general helicopter ops – Whirl-Wide Helicopters Ltd, Otago and Southland, 1976-1980. Geoff started his own business, Kitto Helicopters, in Balclutha in 1981, initially with a Hughes 500. Shortly after that, he moved to a Bell Jet Ranger and added a Robinson R22 flying from a hangar he built on the edge of town. Towards the end of his career (during which he amassed more than 20,000 hours), he operated a Robinson R44 mainly on Ag pilot training and ops. He was CAA Part 137 certified and held D and E category instructor ratings. For Ag ops and training, Geoff operated largely from his 400 ha farm at Kaka Point, which provided a wide variety of terrain and weather for trainees. Retired senior sergeant Al Dickie, who helped pioneer the heli rescue and SARS with Geoff in South Otago, spoke in his tribute at Geoff’s service about the day Geoff buzzed Aramoana mass murderer David Gray, and flushed him out. Geoff’s brief was to fly at 2000 feet, but as he was flying with a senior police officer, Geoff said: “I am an agricultural pilot, I can go below 500 feet” and with that, dropped down over the tree tops and was successful in flushing Gray out of his hiding place. Geoff had a huge passion for the GA industry, particularly the agricultural side, and he invested a massive amount of time in fighting the Aircare battle alongside the late Walter Wagtendonk. 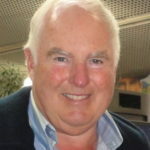 Geoff was one of the founding members of the NZ Aviation Industry Group (AIG), formed to oppose the funding and marketing of Aircare, and he continued to contribute to the group until his passing in May.